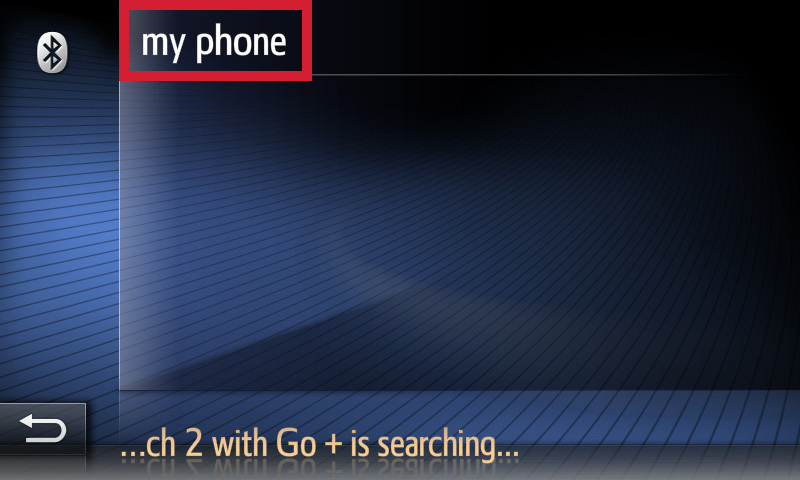 To pair your phone via Bluetooth, press the [SETUP] button of the device to go to the setup menu. Touch [Connectivity] to get to the online menu. 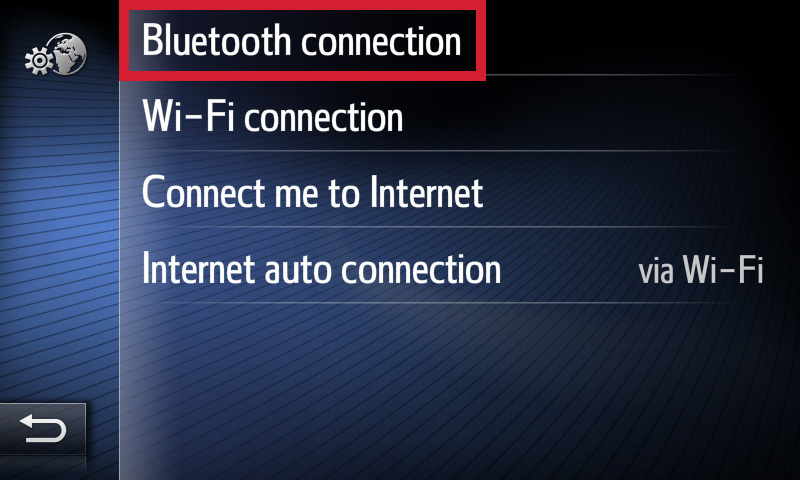 Select [ Bluetooth connection] to get to the Bluetooth menu. 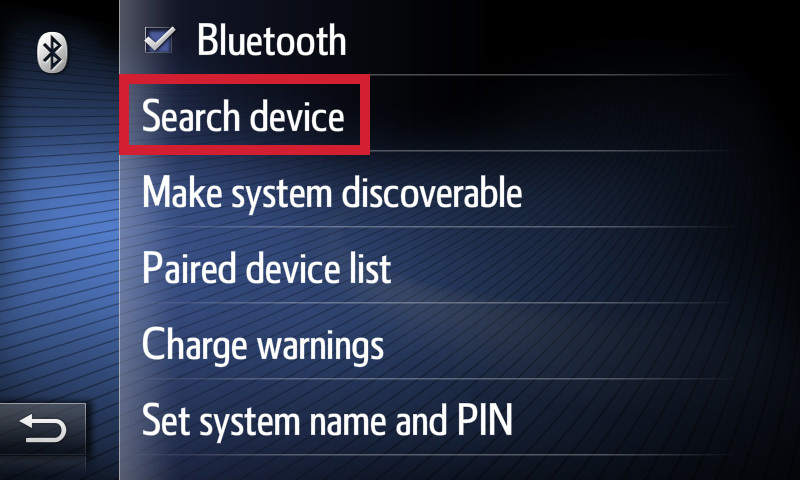 Go to [Search device] and see an overview of available Bluetooth devices. 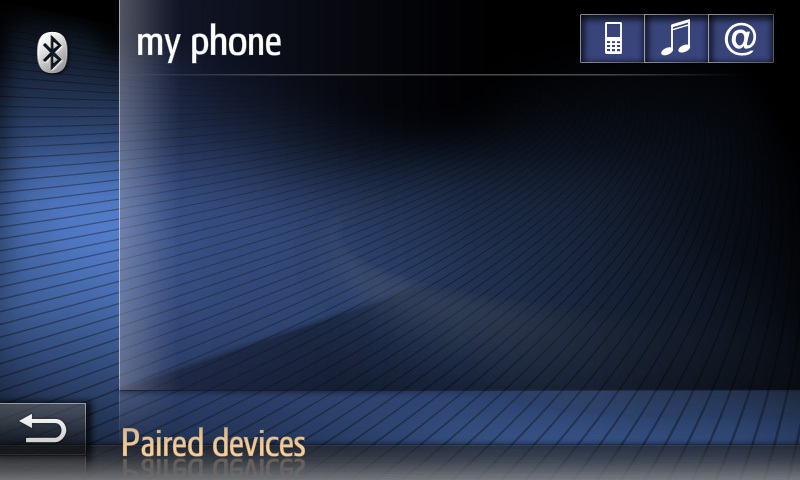 Make sure your smartphone's is in bluetooth 'discoverable' mode. Select your mobile device. The Bluetooth pairing is launched. 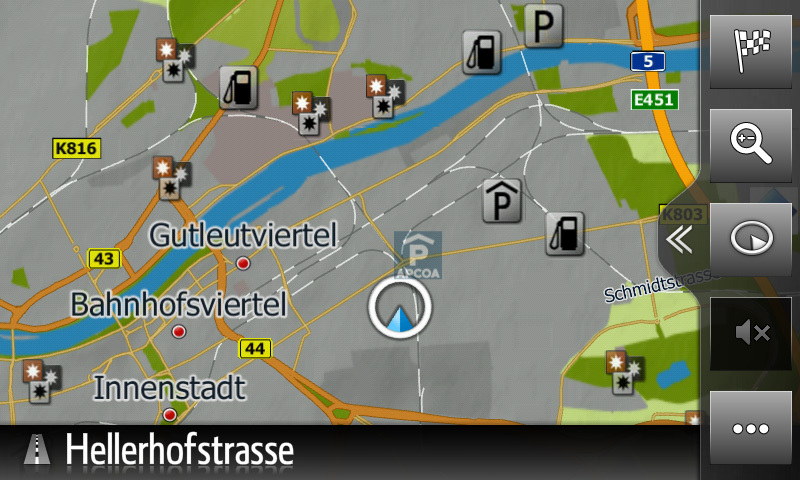 A passkey will be sent to your mobile device. 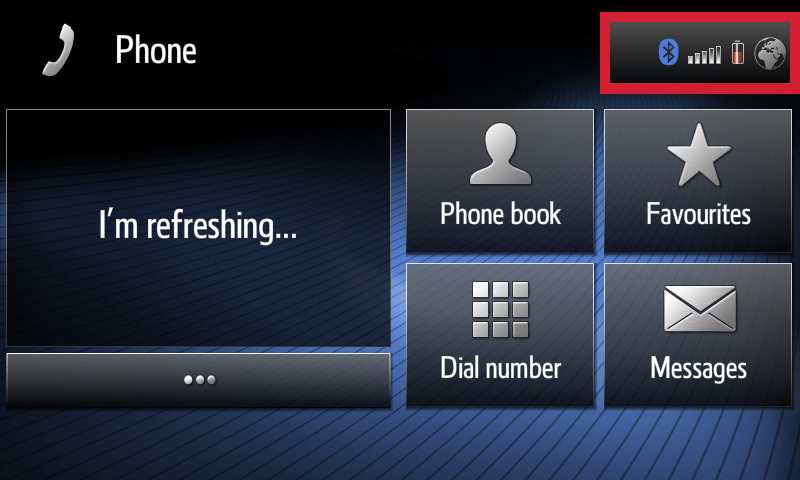 Confirm the digits are identical with the one shown on your Touch 2 display. To confirm touch [Yes]. 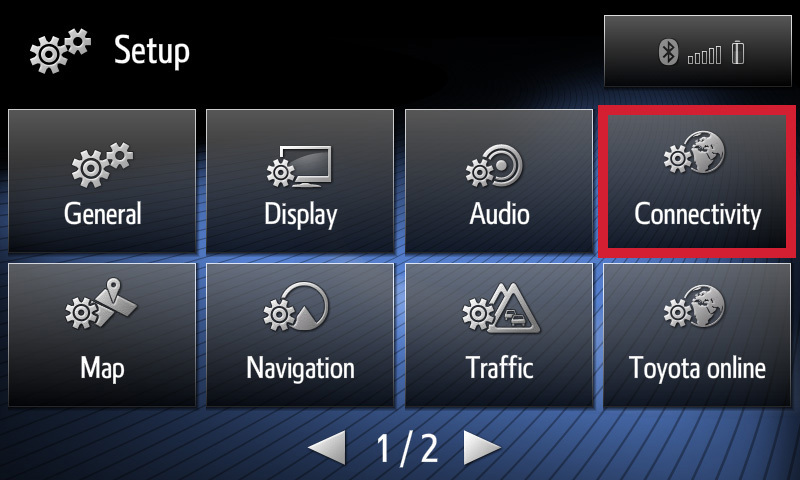 Touch the connectivity button to see an overview of paired Bluetooth devices. Bluetooth connection is now active for ‘hands free calling’ and ‘music’. 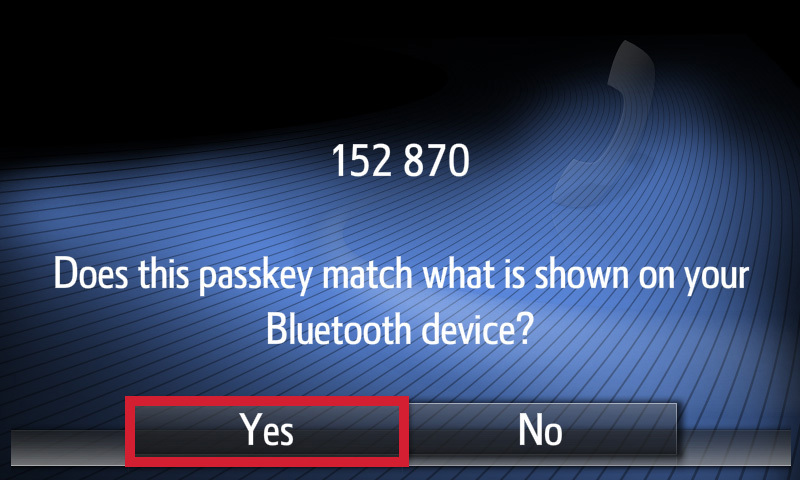 To get a ‘data’ connection, make sure also the internet icon is activated (touch it & confirm 'Yes' if requested).